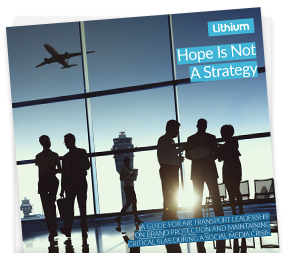 A guide for air transport leadership on brand protection and maintaining critical SLAs during a social media crisis. Airlines and airports are continuously exposed to risk by unforeseen events: service disruptions, weather, political/national security threats, operations and mechanical delays…the list goes on. Disruptions drive additional service costs, and place added load on all customer service channels. Passengers are now accustomed to using the power of their voice via social media to interact with brands and airlines and airports are no exception. Ultimately, customer experience reigns supreme – many in the air transport industry have deemed it the final competitive frontier. Social customer service is at the forefront of care, and of maintaining positive customer sentiment and improving negative sentiment. Yet too many airlines and airports still struggle when a social media crisis occurs, often from the sheer volume of inbound traffic. How can they mitigate and contain the crisis while protecting the brand from further damage? What factors can they control in a social media crisis and how does it impact customer satisfaction? Learn more about brand protection and maintaining critical SLAs during a social media crisis.